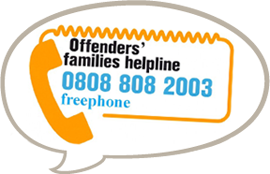 POPS provide information and support to the families of offenders from their earliest contact with the Criminal Justice System (CJS), through to release and beyond. Described as the ‘Continuum of Care’, POPS model of service delivery is the skeleton around which we build consistent and coordinated services which ensure offenders’ families have access to timely and appropriate support throughout their contact with the Criminal Justice System. The ‘Continuum of Care’ encourages effective partnerships and robust referral systems to ensure families are able, at all times, to receive the tailored support they require to address their particular needs. 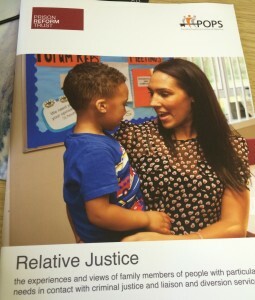 The families that established POPS realised that such a support service was absent within the Criminal Justice System and set out to make a difference for families who would inevitably follow in their path. All of the services POPS deliver arise out of needs identified by service users. Families of offenders can face significant disadvantage as a result of their contact with the Criminal Justice System. The impact can be manifold, with families experiencing emotional and financial difficulties in addition to the strain placed on family relationships and stigma from local communities. POPS works with a whole range of families from the resilient and self-reliant to those who present with multiple and complex needs including anti-social behaviour, drug and alcohol misuse and intergenerational deprivation derived from long term employment. Our services are designed to be responsive to such needs, recognising the importance of addressing the unique issues facing each family. We know that families can make a critical contribution to an offender’s rehabilitation and resettlement if given the right information and support at the right time. Our approach to family support is firmly centred on encouraging families to be “part of the solution”. Our experience has shown us that one of the most powerful catalysts for change is families being supported by people who have experienced similar problems and managed to turn their lives around. Many family members who have been supported by POPS now act as role models, advocates and local ambassadors for families in similar situations. POPS wealth of experience and knowledge has caused our influence to grow and as a result we have become increasingly involved strategically in local, national and international arenas. 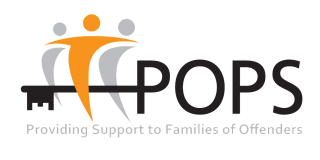 POPS consider it vital that the role of the family as an ‘offender supporter’ is recognised at all levels, from service delivery to strategic development, and that effective support for families is an integral part of the offender journey.